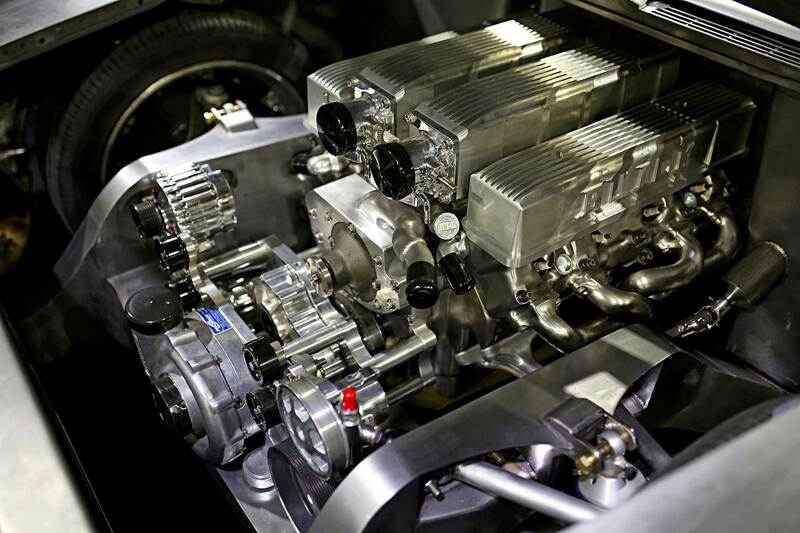 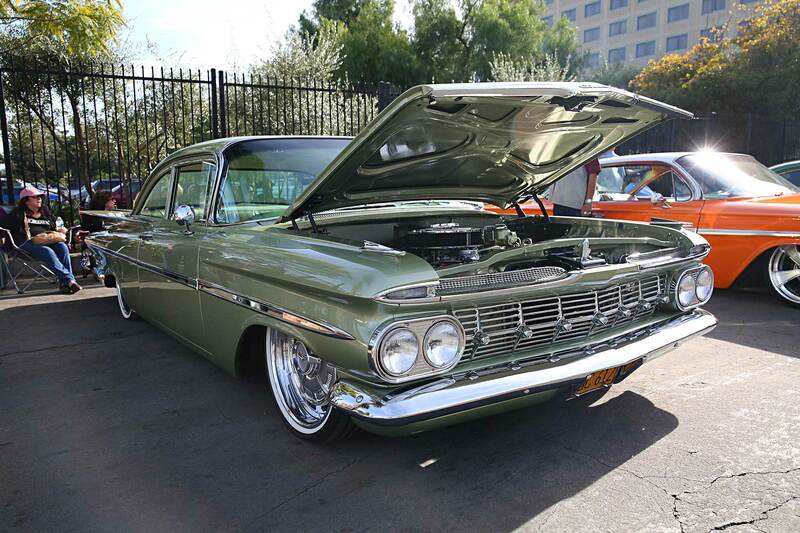 Cold winter months and less-than-ideal conditions make it the perfect time for our cars to go into hibernation. 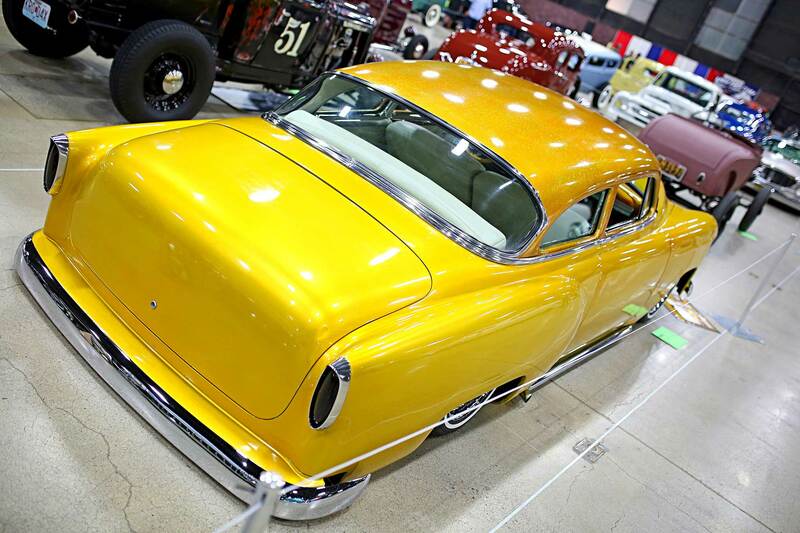 Now for those lucky enough to have their cars done, it’s a time when our cars sit under covers with trickle chargers topping off our batteries. 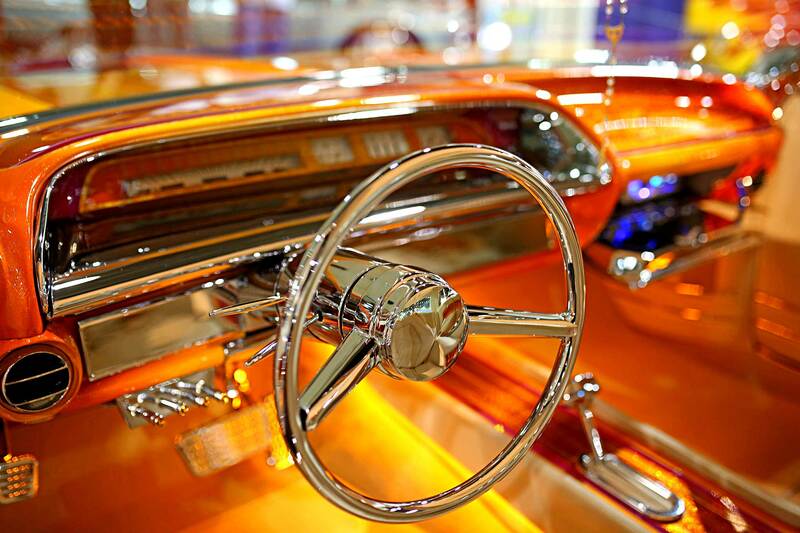 For others, it’s time to do all the things we had been planning during the summer. 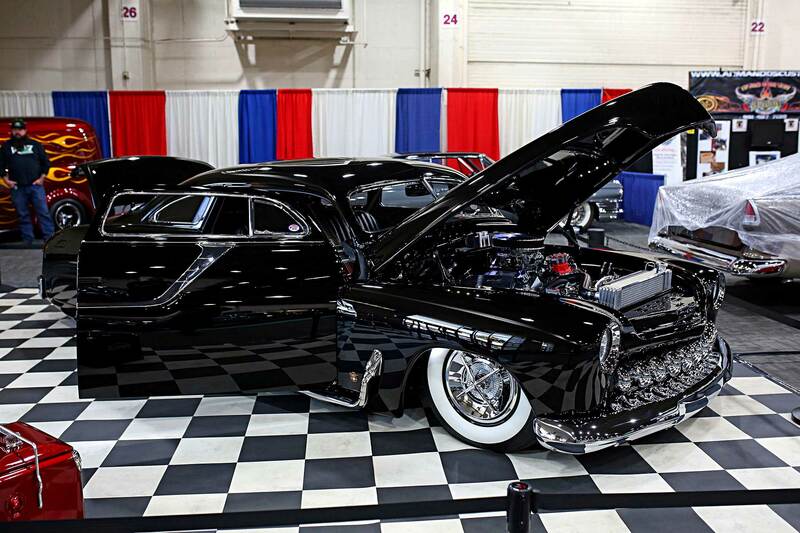 Come January, it’s time to get ready for pressure season and as we start changing fluids and polishing our paint there is always one constant reminder that show season is about to begin and it’s marked by the Grand National Roadster Show (GNRS)—the first major show of the season. 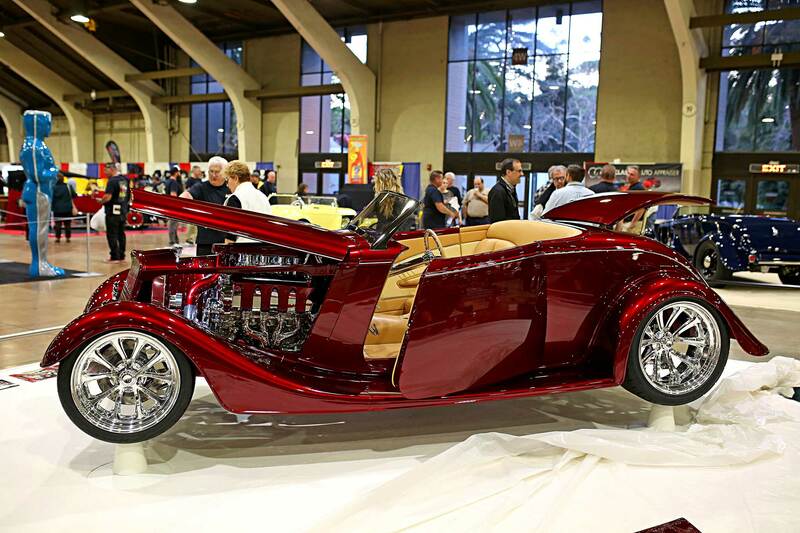 The GNRS is one of SoCal’s premier shows, and this year celebrates its 70th anniversary. 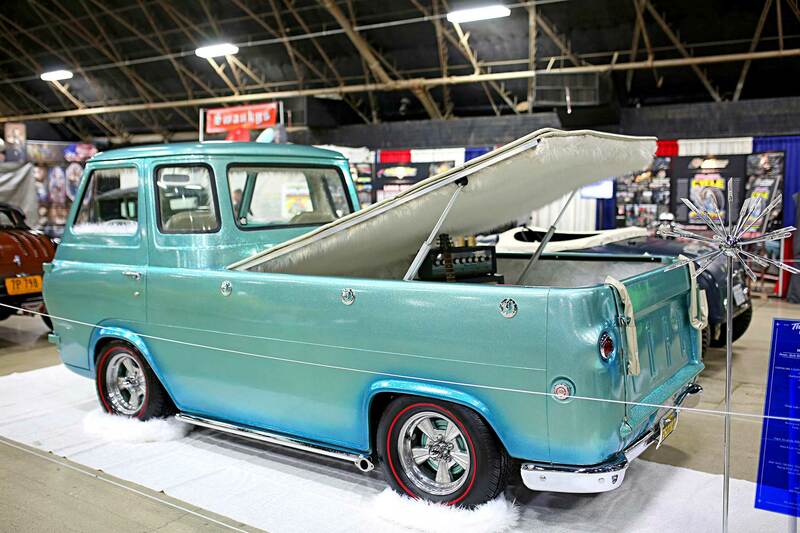 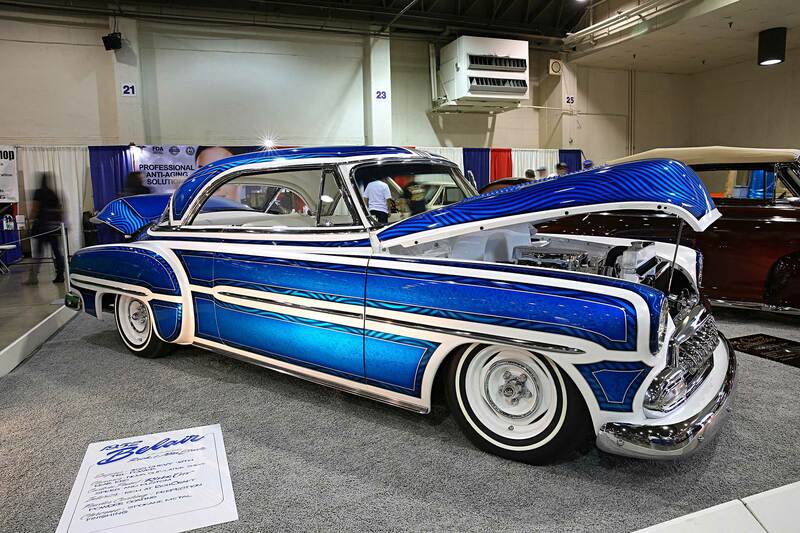 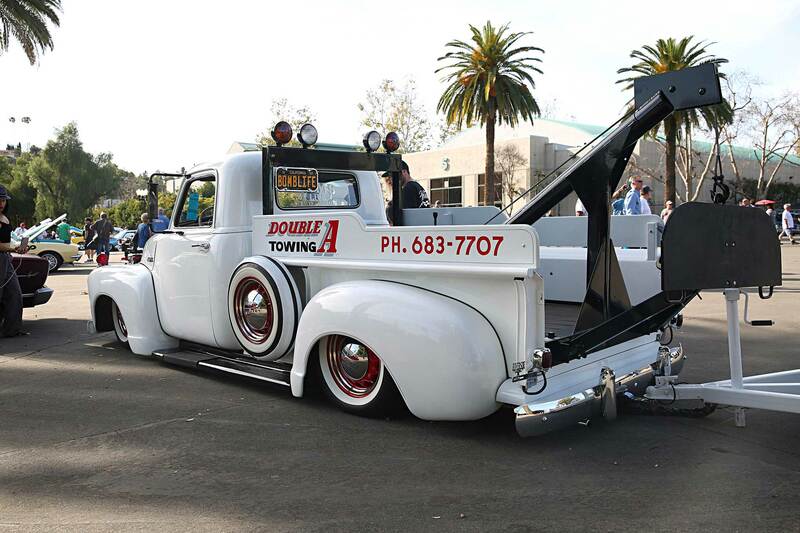 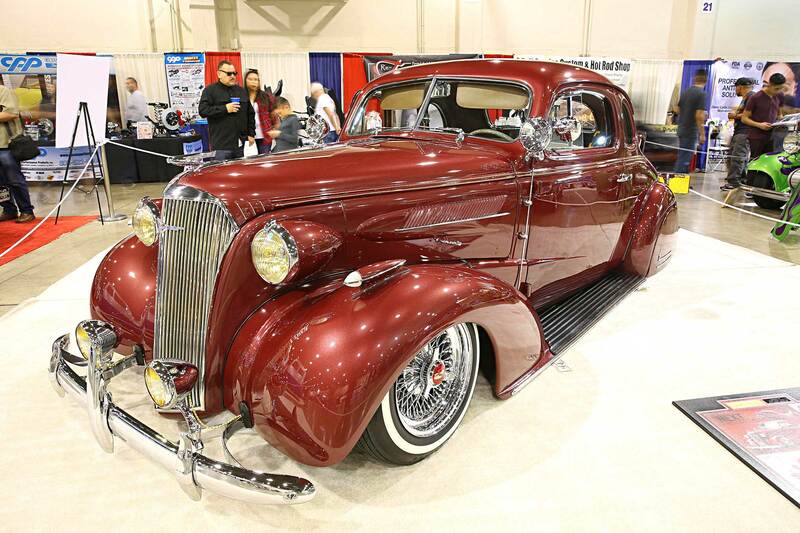 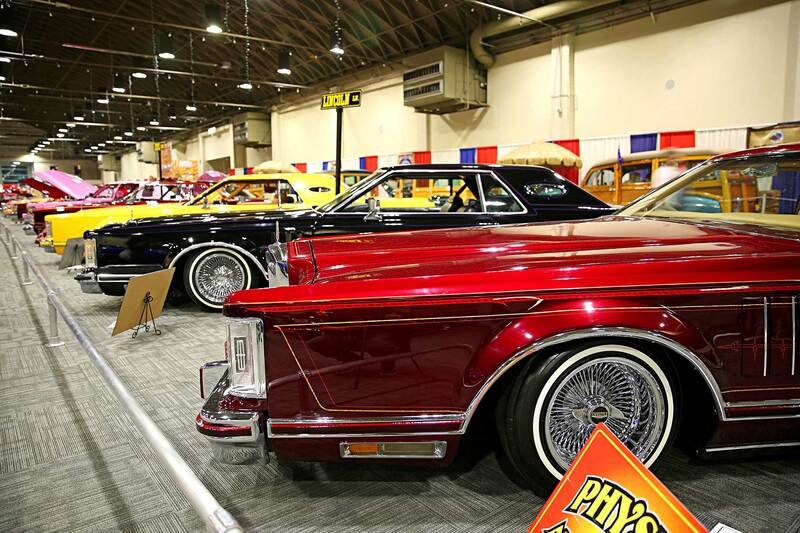 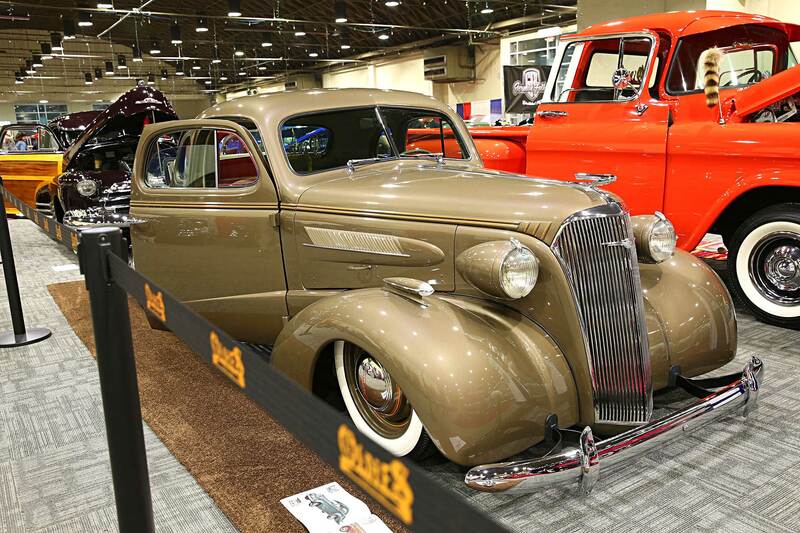 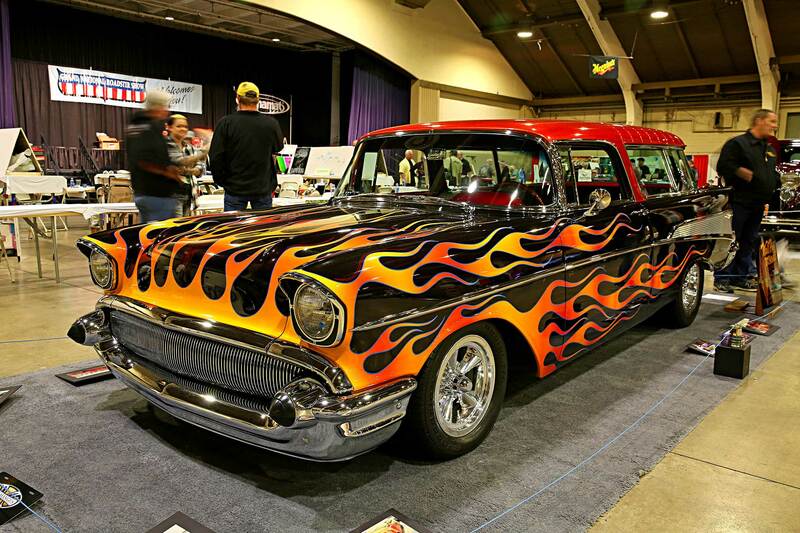 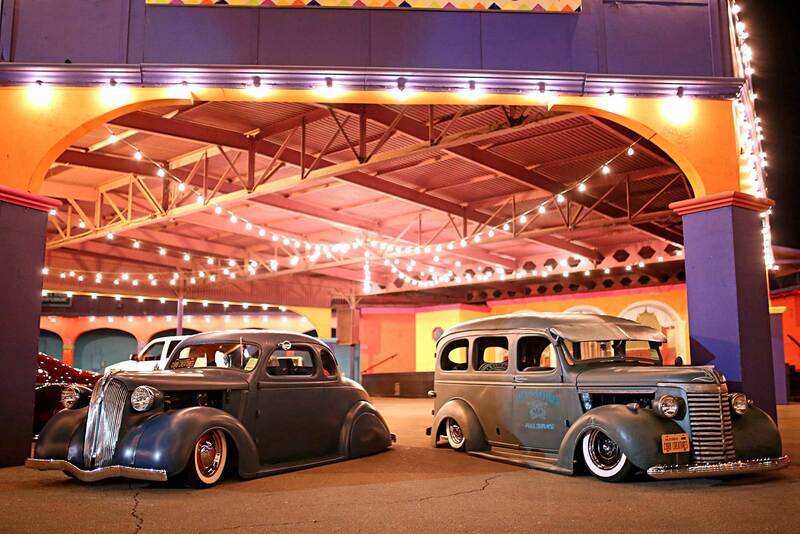 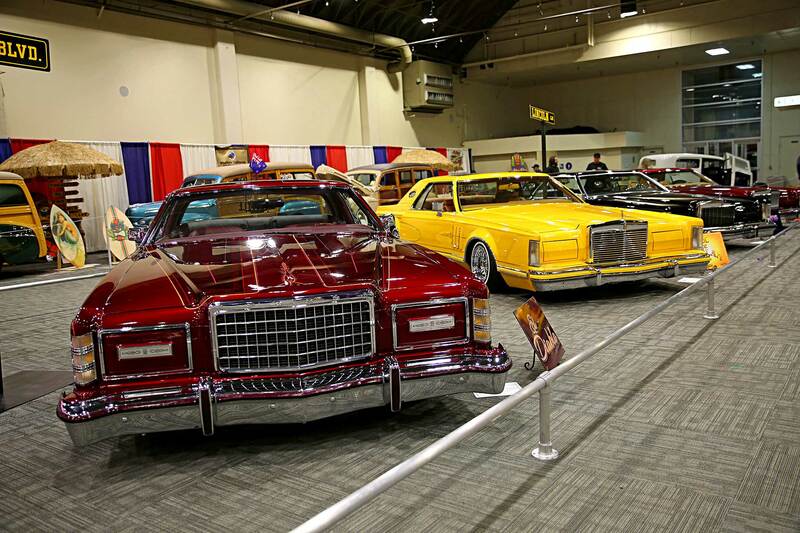 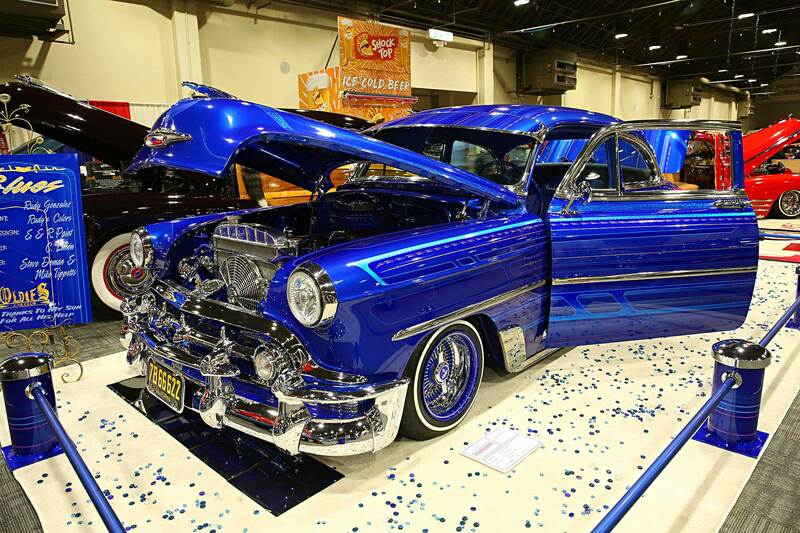 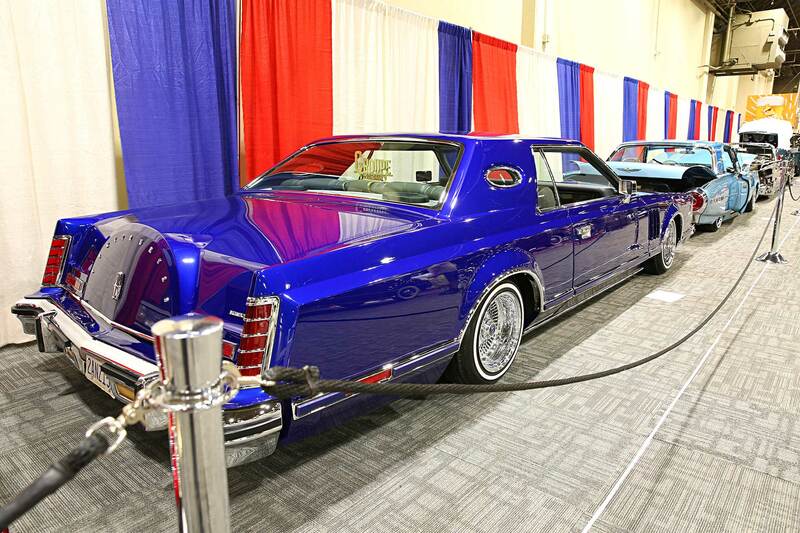 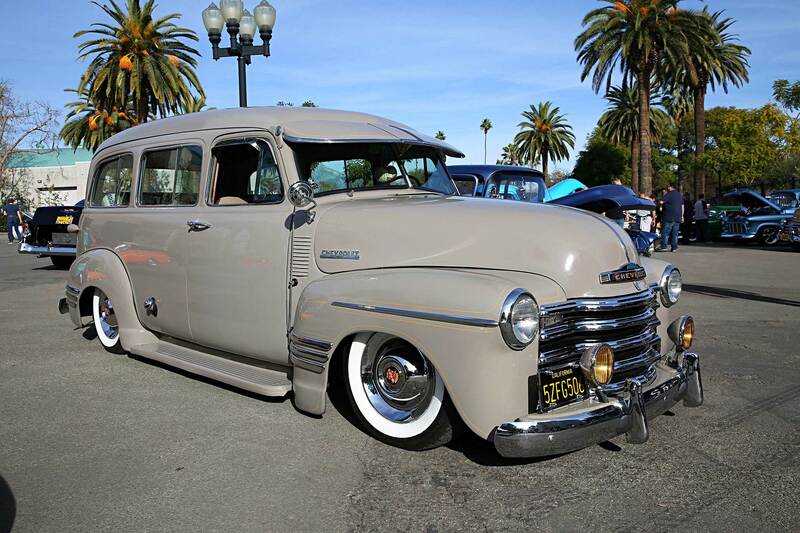 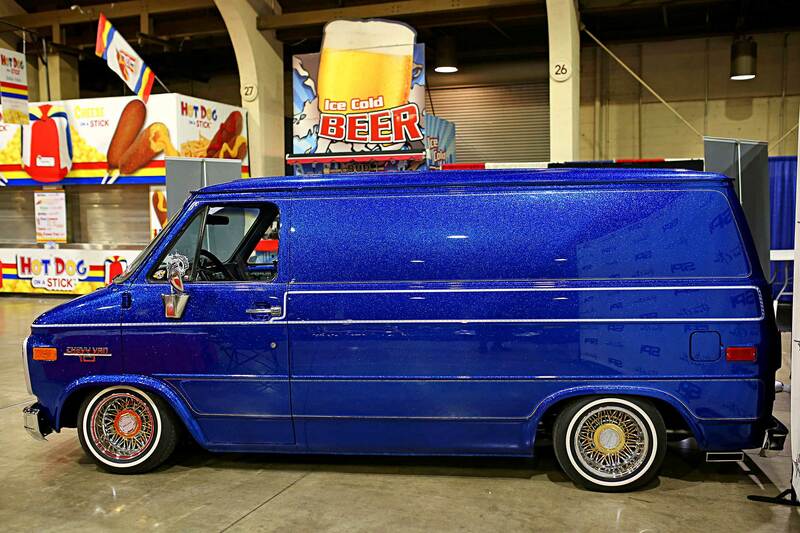 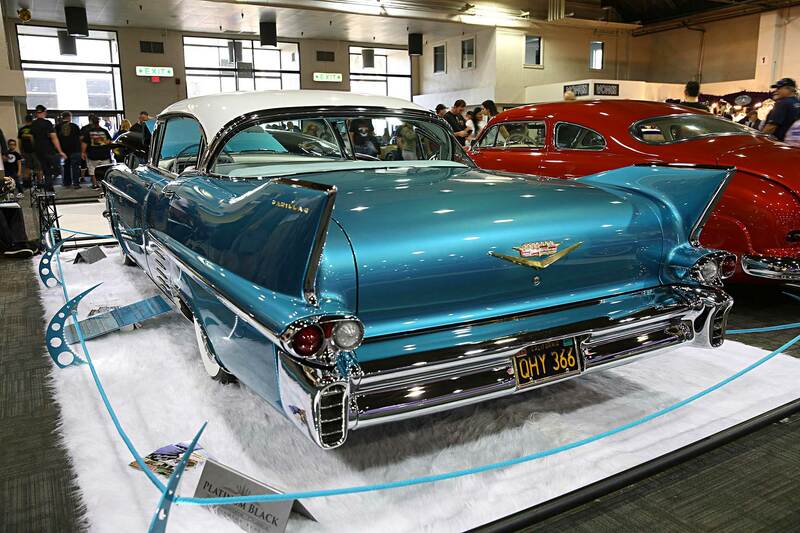 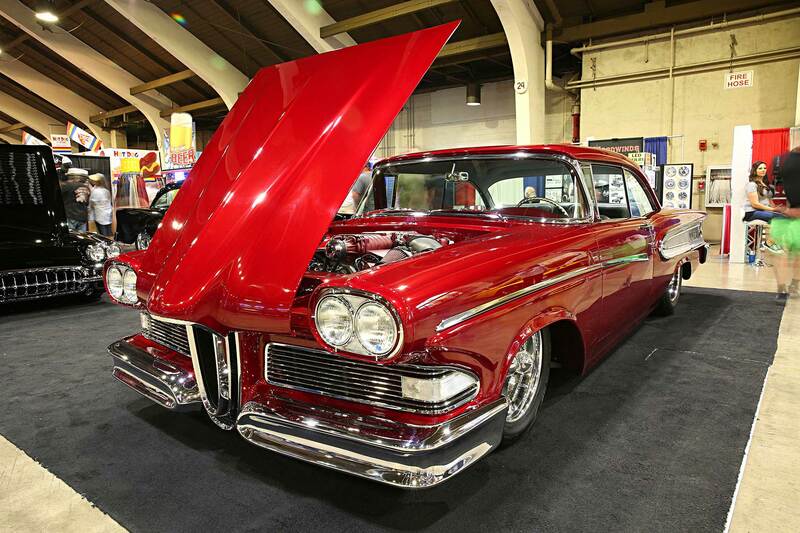 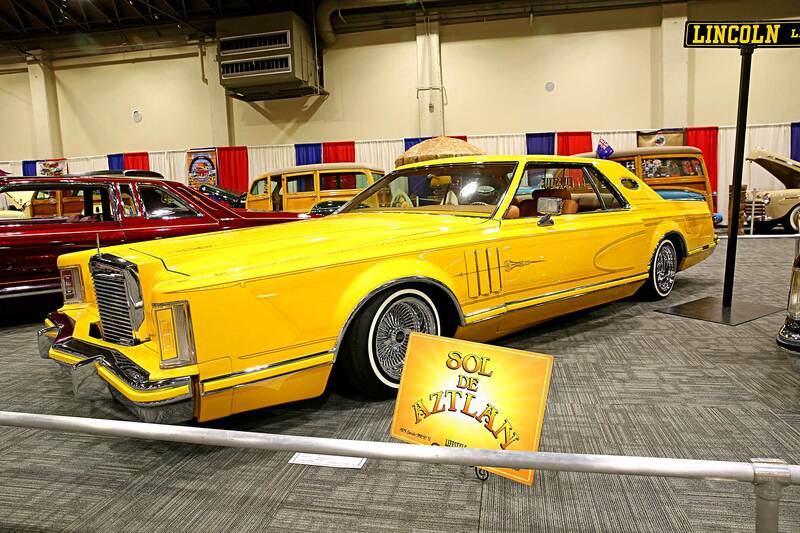 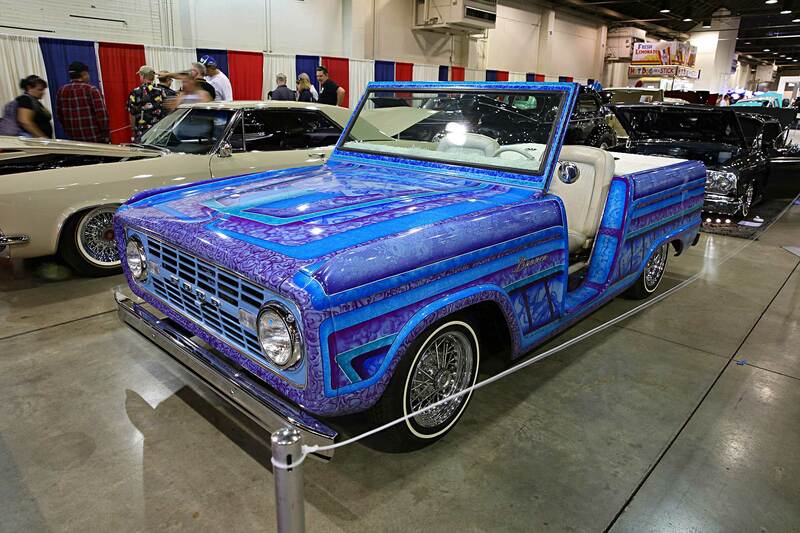 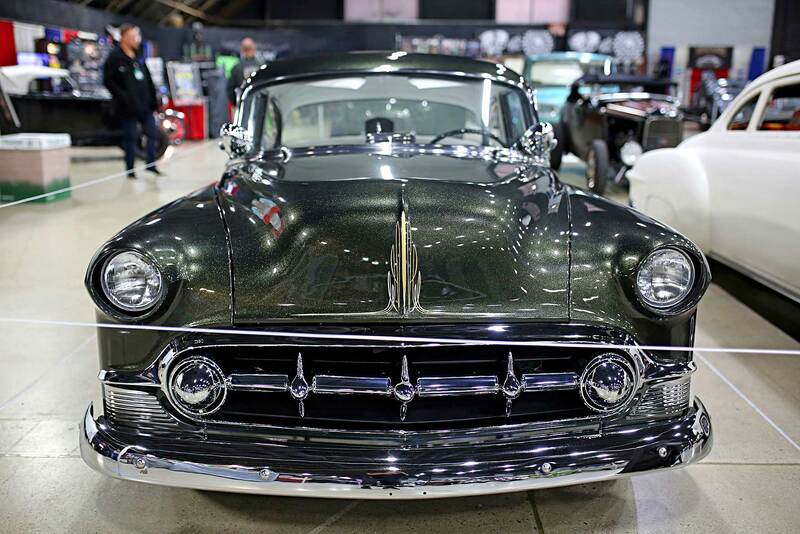 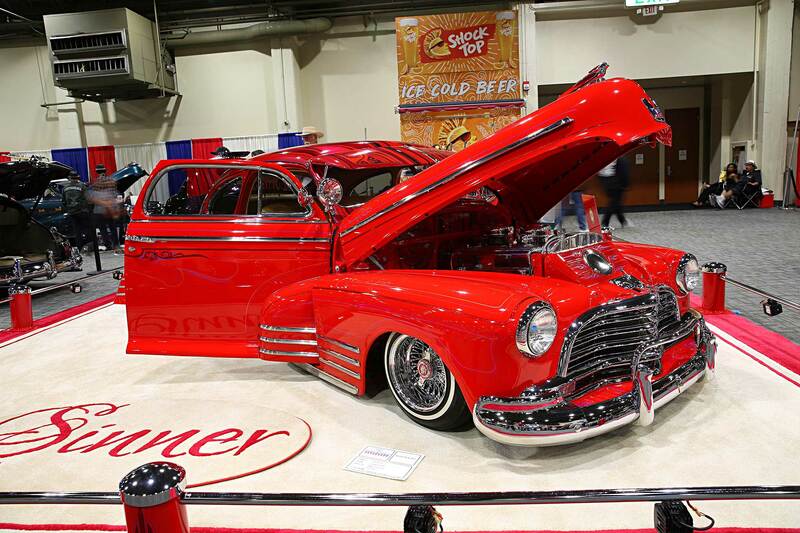 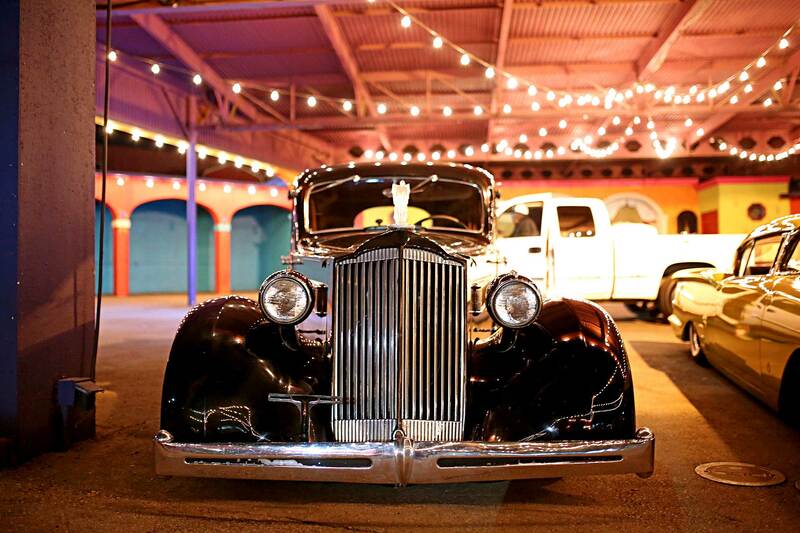 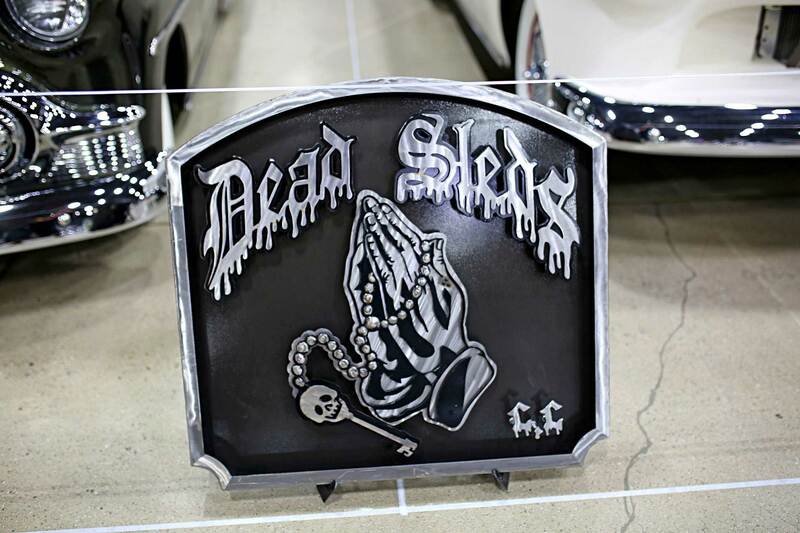 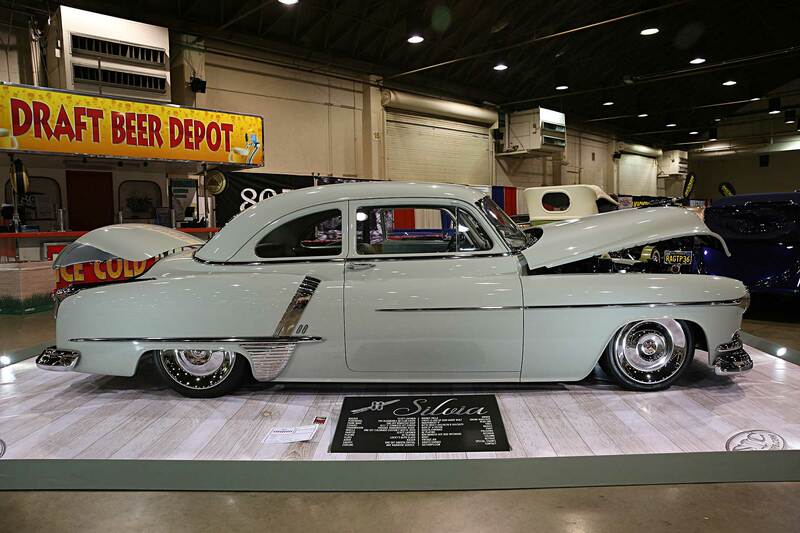 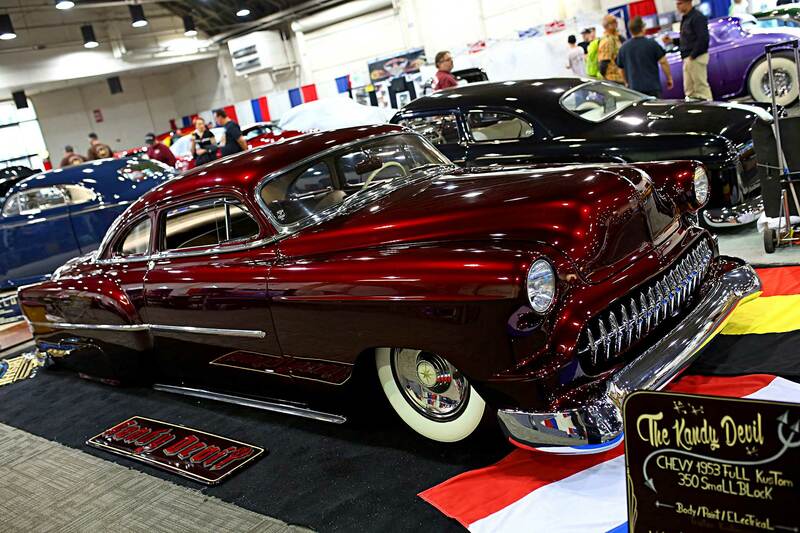 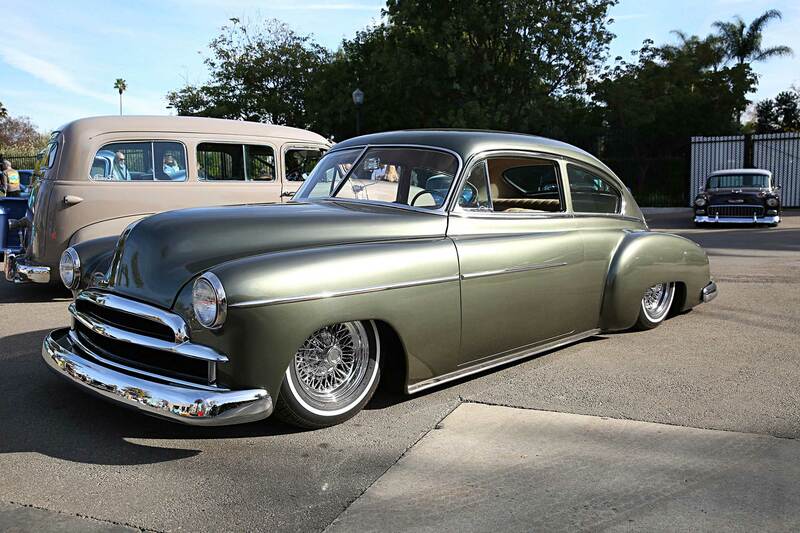 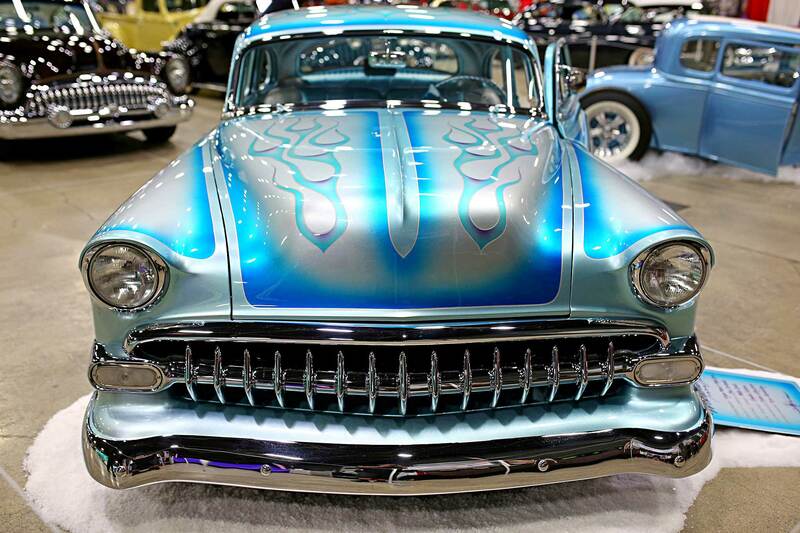 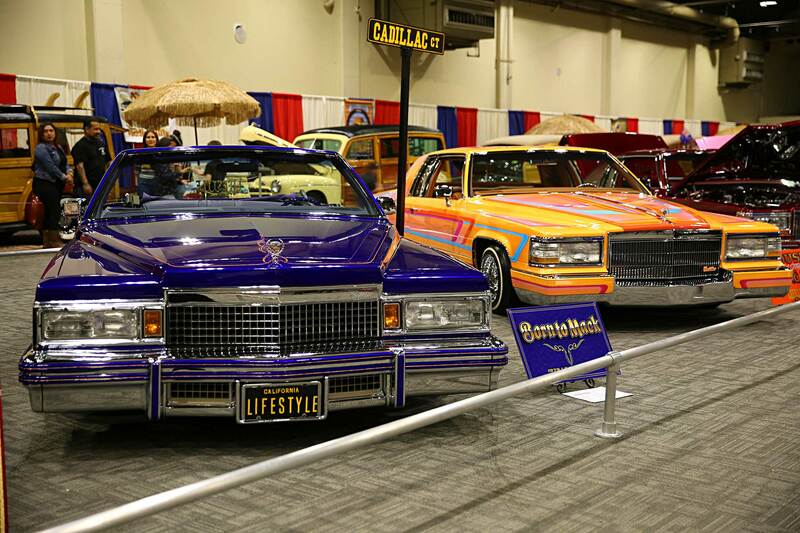 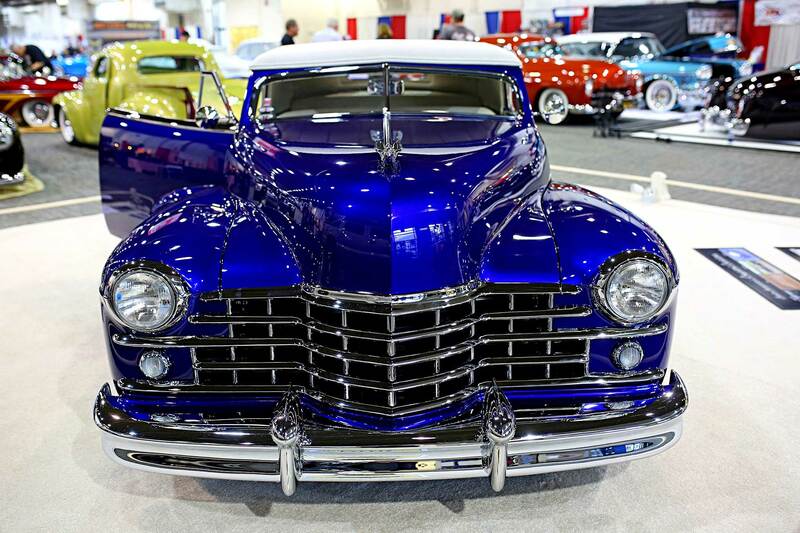 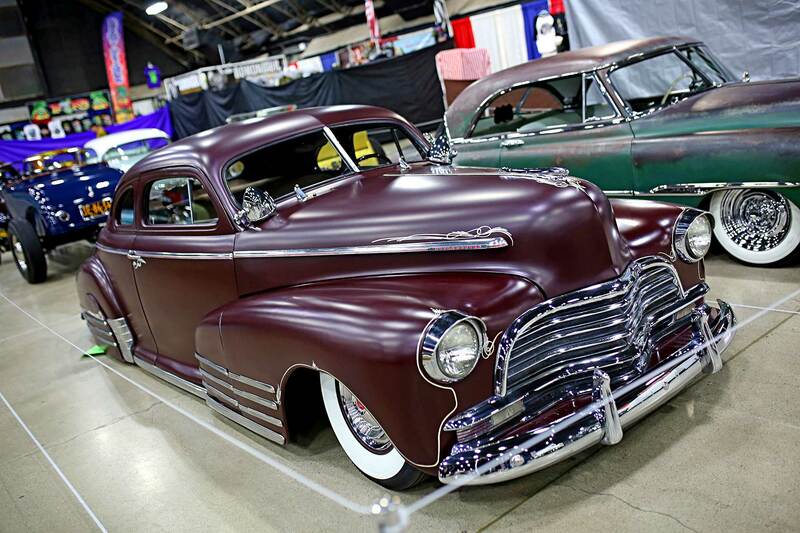 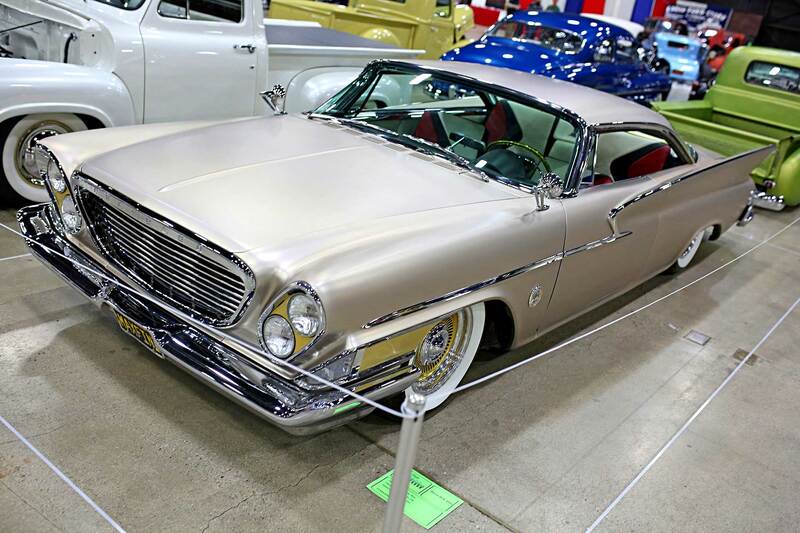 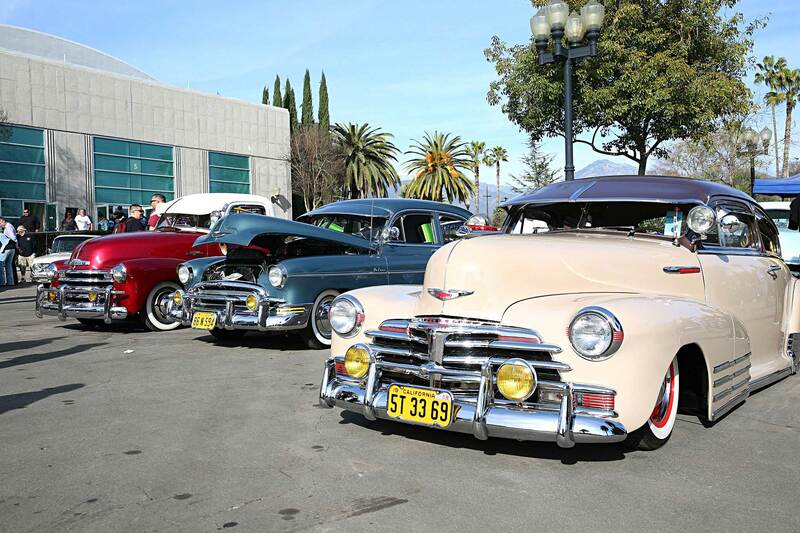 Ringing in the year with 600 cars and an ever-growing lowrider presence, the show boasts some of the best custom rods in the world. 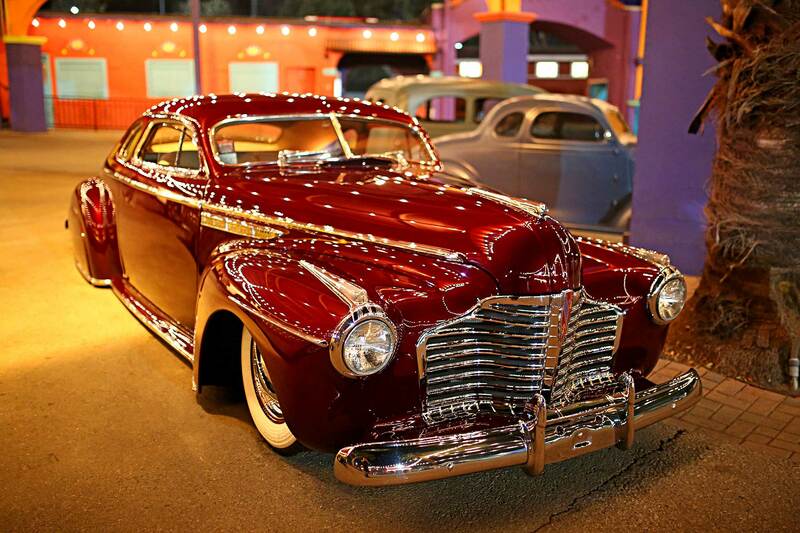 One of the main attractions has become Building No. 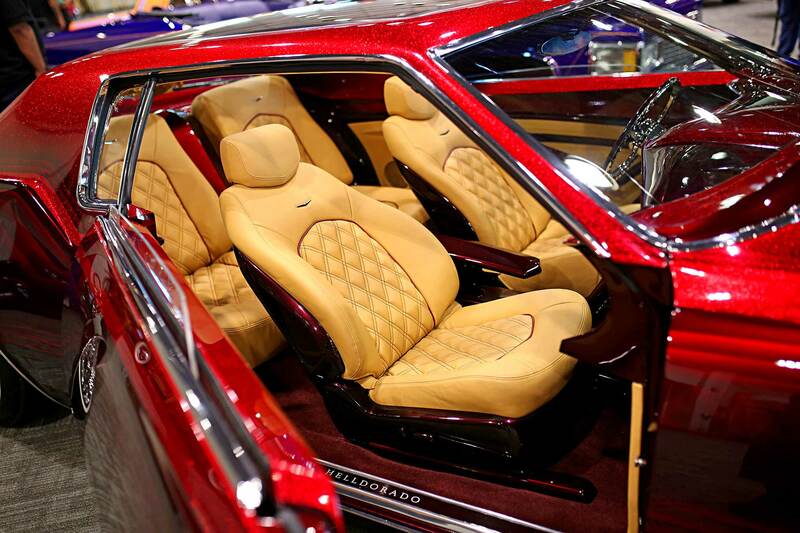 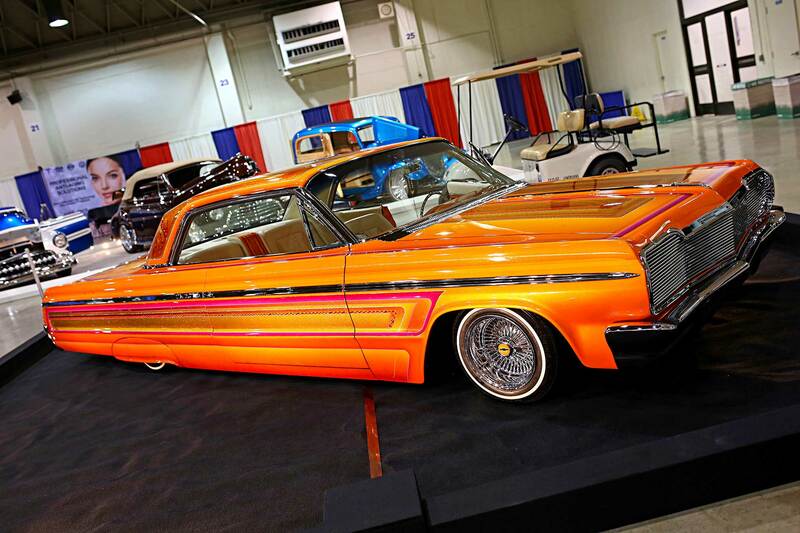 8, which this year housed Lifestyle Car Club’s ensemble of luxury cars, highlighted by the debut of Joe Ray’s “Helldorado.” With an LSA powerplant and custom rear-wheel-drive setup, the car is highlighted by the huge panoramic roof and insane PPG paintjob. 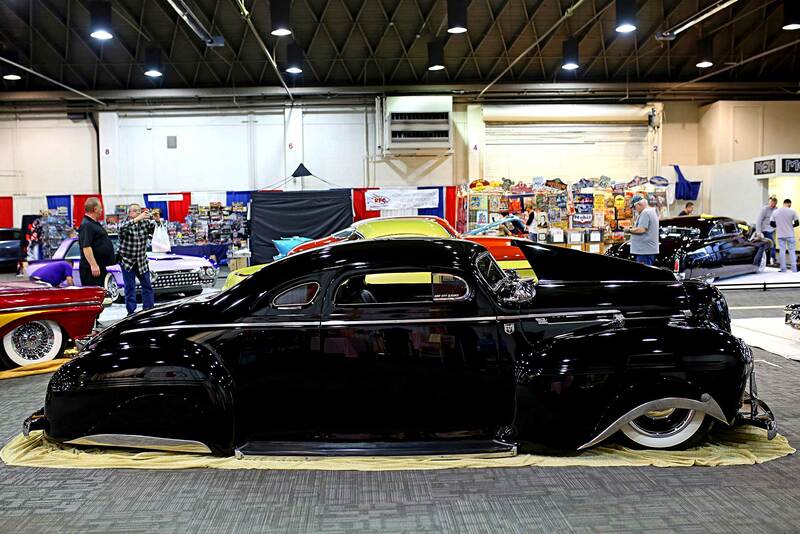 Additional highlights in the hall include Oldies Car Club who brought out a dozen or so classic bombs, while Richard Alvarado (Oldies’ president) took home the Von Dutch Pinstriping Award with his 1936 Buick. 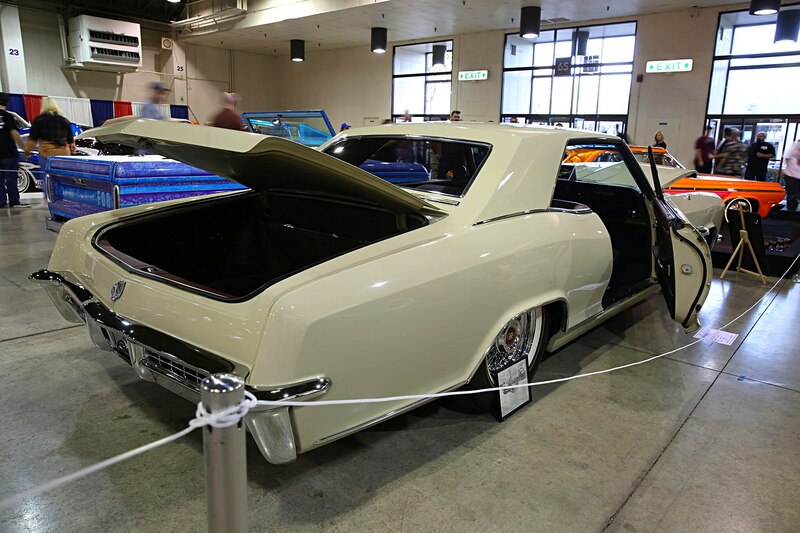 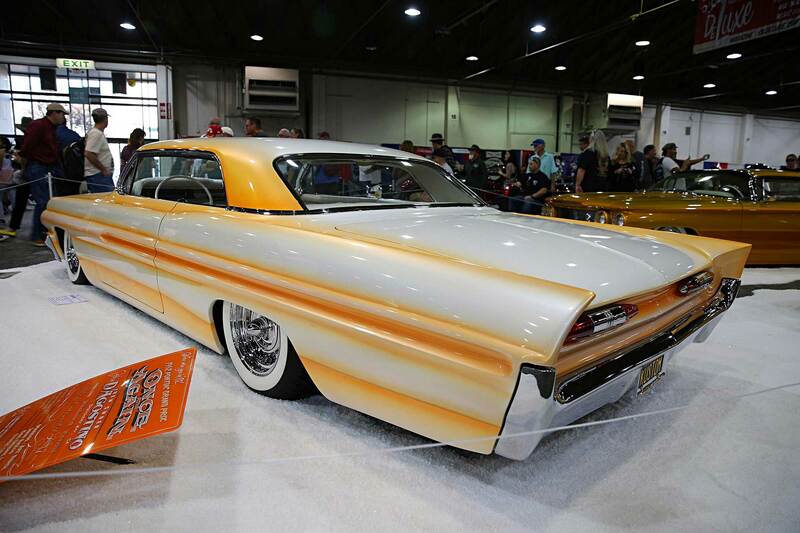 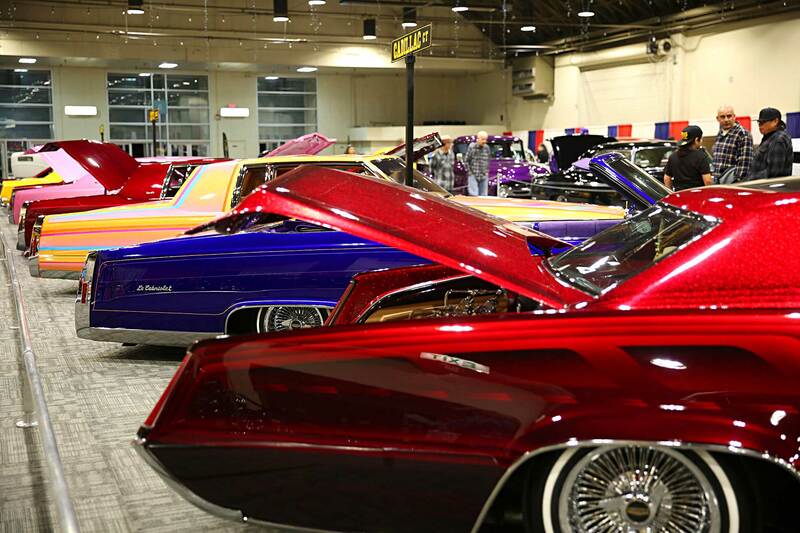 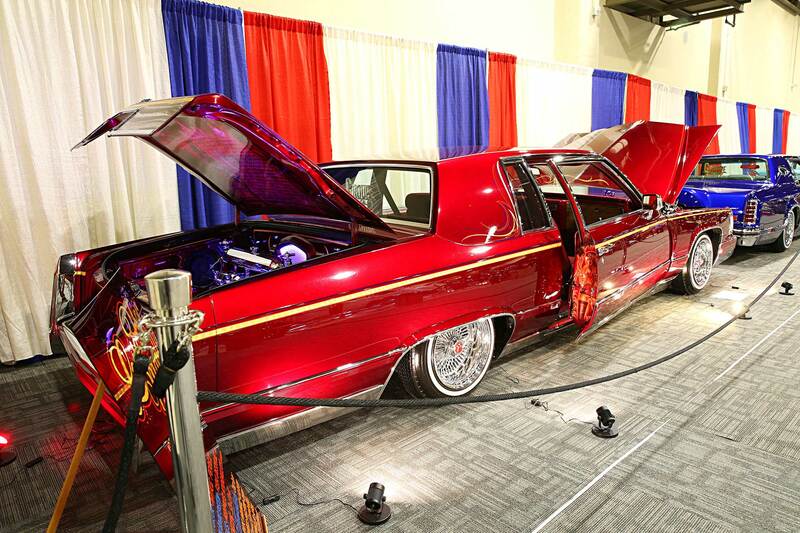 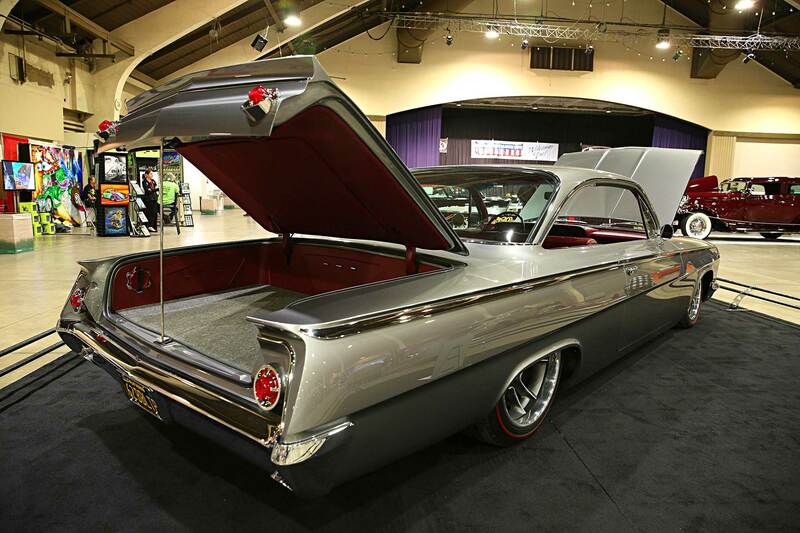 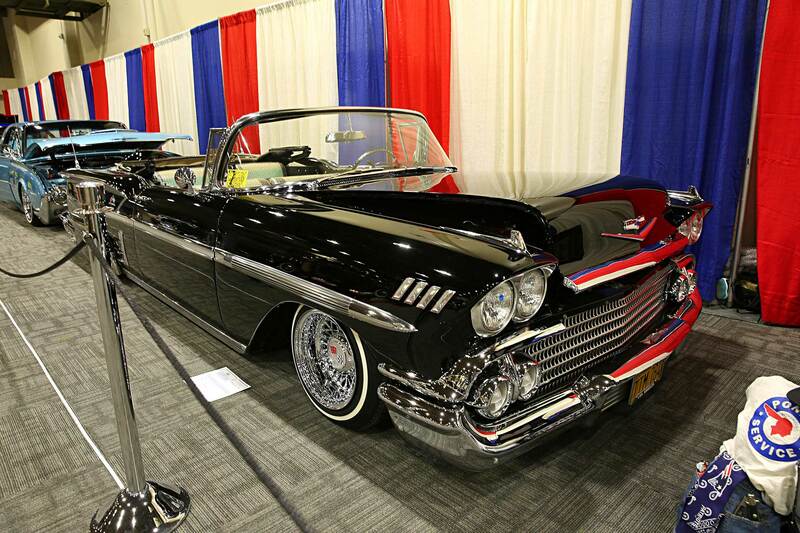 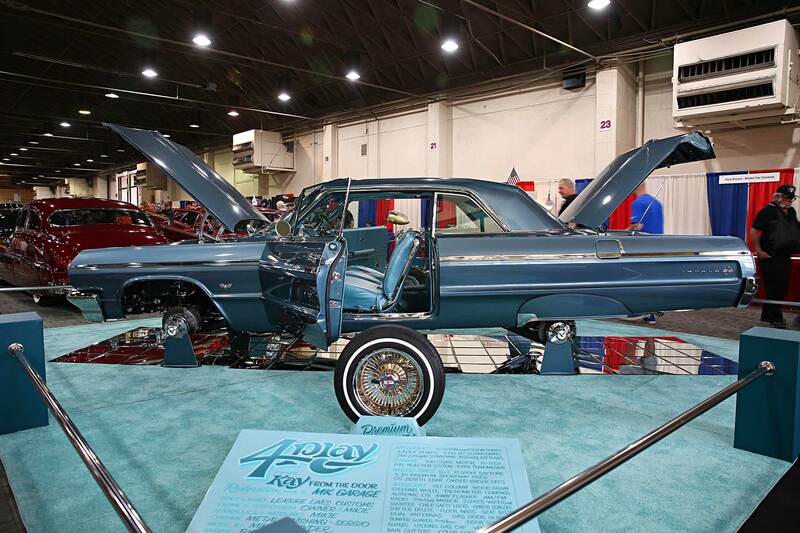 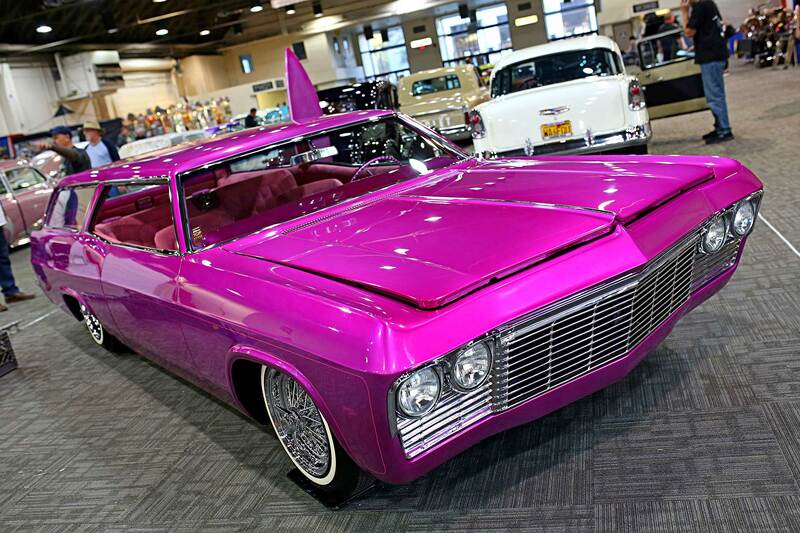 Additional lowrider highlights at the GNRS include a set of standout 1964 Impalas. 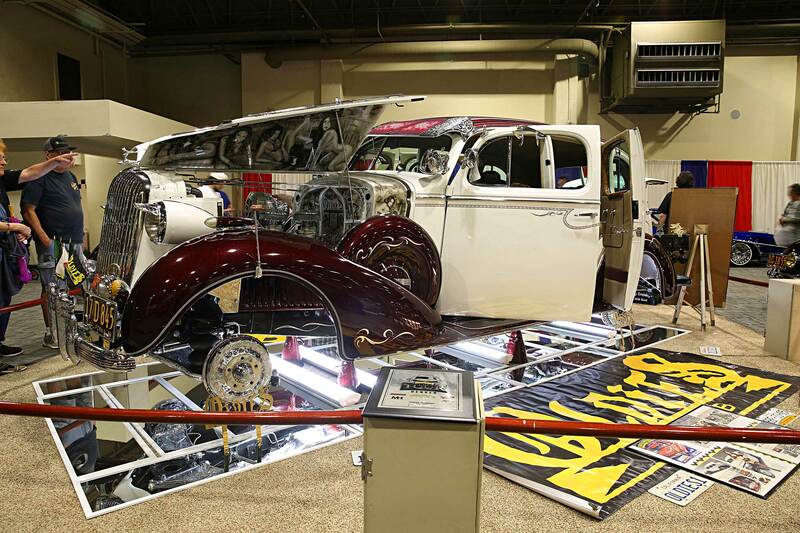 One belonged to LOWRIDER Roll Model Kaoru Hattori with “4-Play” and Rosario Onorato’s “The Golden Rose.” For Hattori, this was her first time showing at the Roadster Show, while the Onorato family are seasoned veterans, much like the Tovar family who this year proudly displayed Daniel’s 1937 Sport Coupe. 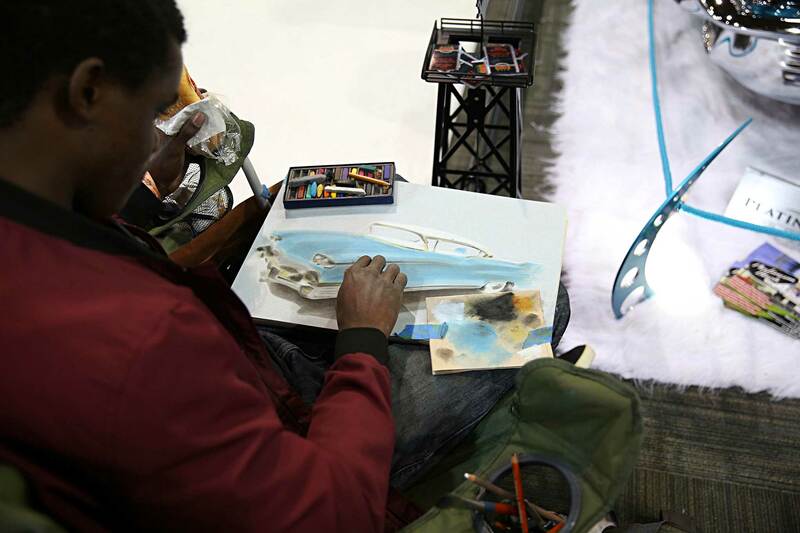 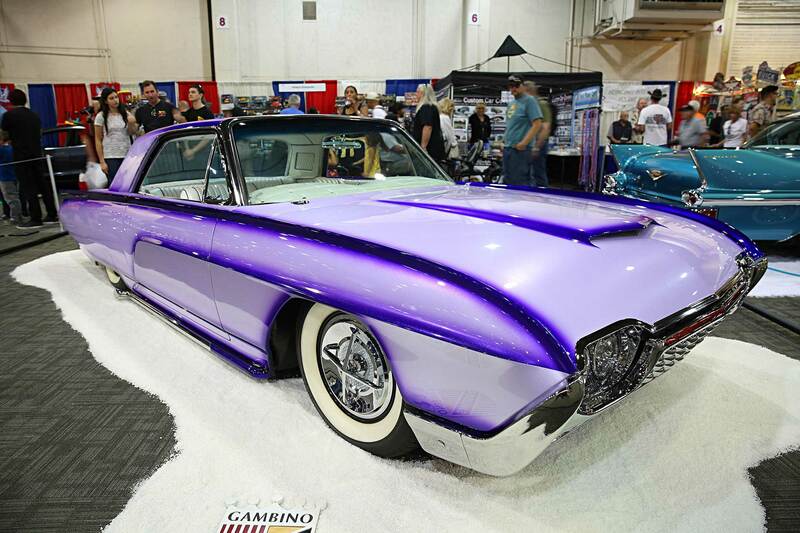 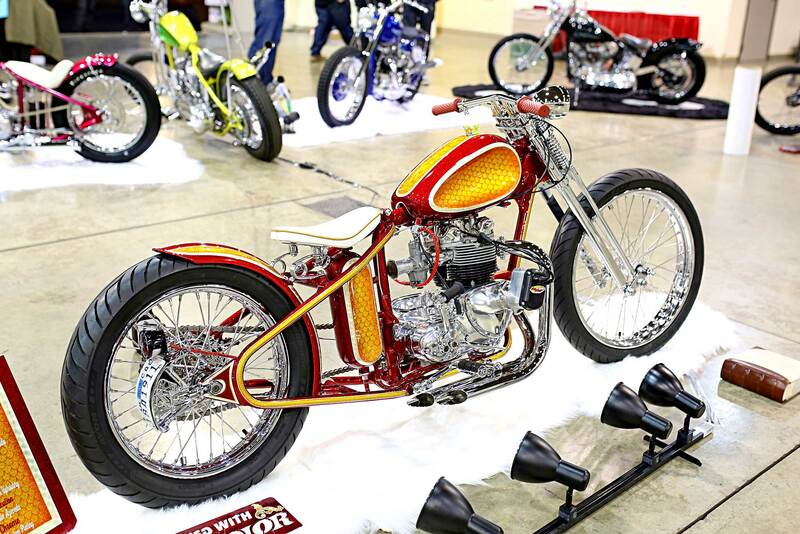 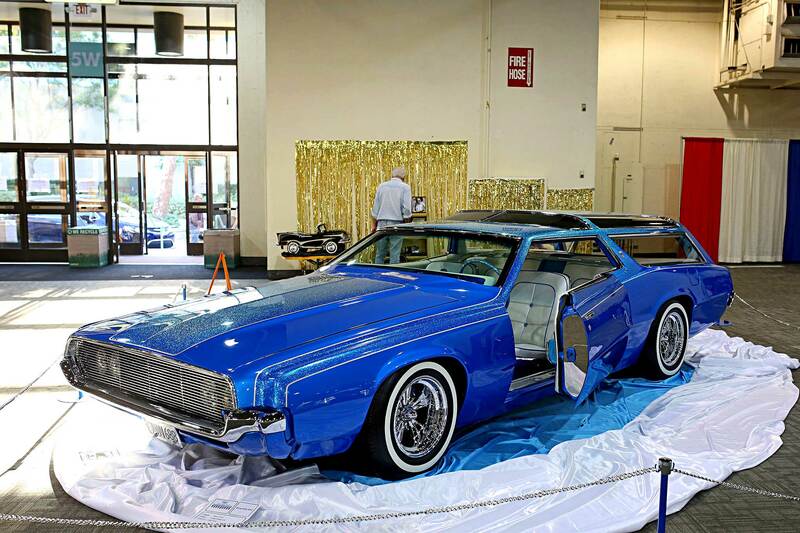 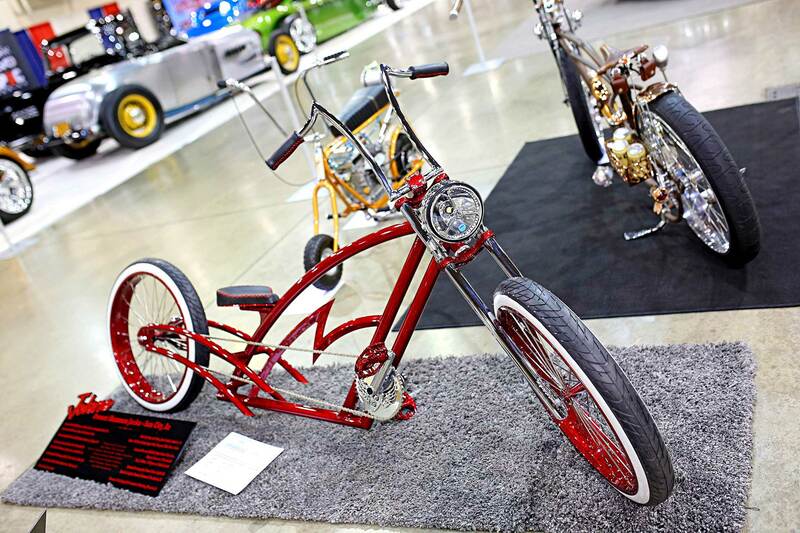 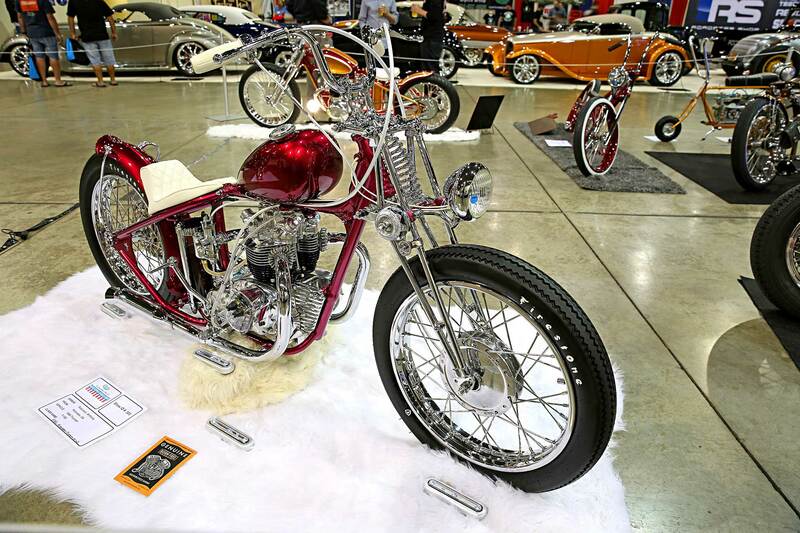 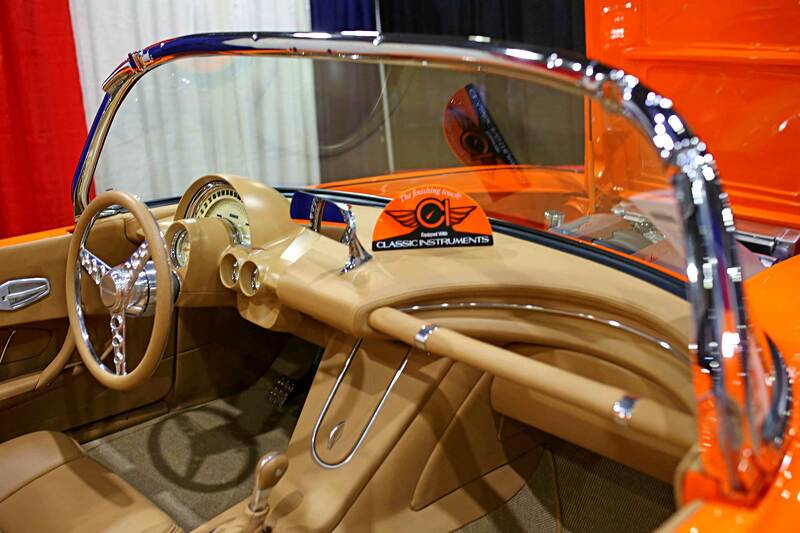 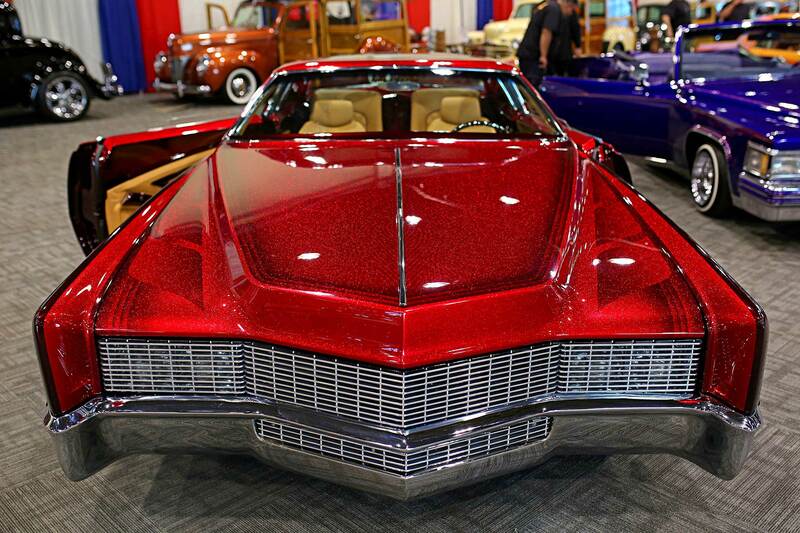 The GNRS is a three-day show making it the biggest indoor/outdoor show in Southern California. 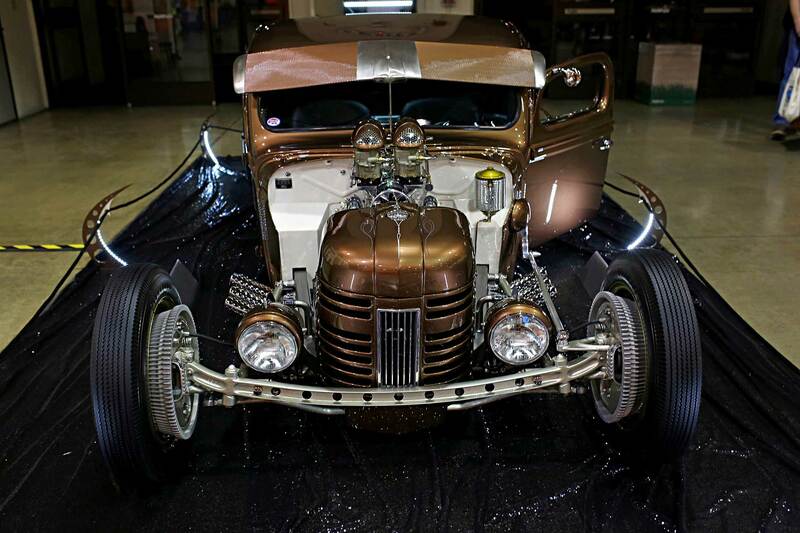 Complete with rods, roadsters, and custom builds, the GNRS flaunts a diversity of style that will invigorate and inspire any build. 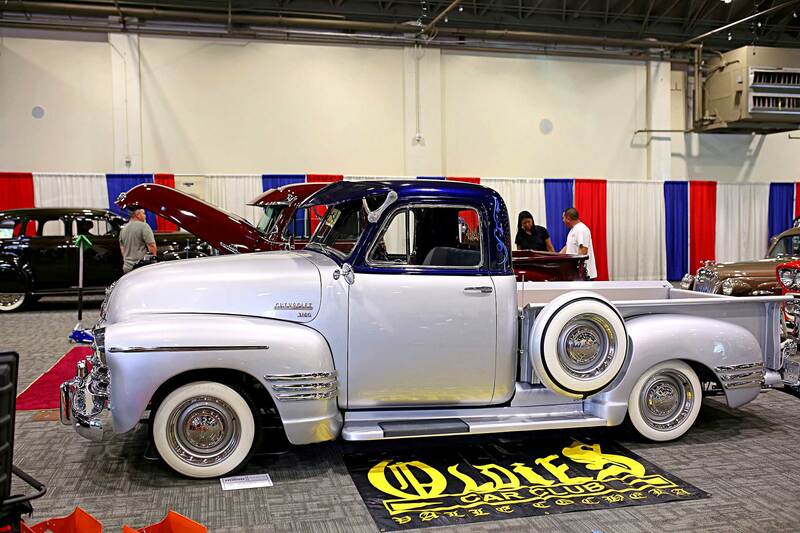 If you haven’t been to the show be sure to mark your calendars for January 2020 because it’s not one you want to miss!